The natural aging process results in the loss of volume in the face, which contributes to the appearance of fine lines and facial wrinkles. Loss of volume in the cheeks can lead to a “sunken” or “hollow” appearance, further emphasizing the signs of aging. Are you looking for a non-surgical treatment to lift and restore volume to the middle face and cheek areas? At Plateroti Dermatology, we offer Juvederm Voluma® as a treatment option to help restore volume and contour to the cheek and midface regions. 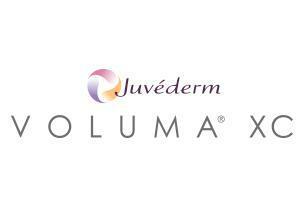 Voluma® is part of the Juvederm® family of hyaluronic acid based dermal fillers. It is the only dermal filler approved by the FDA to treat age-related volume loss in the cheek and midface area. Voluma® is an ideal treatment option for patients looking for a non-surgical way to lift and improve the contour of the cheek area. Patients may also notice improvements in the jawline and lower face areas. Voluma® provides immediately visible results that can last up to two years. Some studies have shown that when Voluma® is administered properly, patients may require less product when treated again after two years. Are you interested in finding out if Voluma® is right for you? Schedule a consultation with our office in Templeton today! Hyaluronic acid occurs naturally within the body in the skin, tendons, and muscles. It attracts and stores moisture and helps to hydrate and nourish the skin. Naturally occurring hyaluronic acid diminishes with age, which results in the loss of volume in the skin. The hyaluronic acid used in Voluma® and other Juvederm fillers restores a younger looking appearance by hydrating the skin and attracting moisture to the treated area. Voluma® is injected directly into to mid-face area with a fine needle and is formulated with Lidocaine to decrease any discomfort during an injection session. Injection sessions typically take between 30 and 45 minutes and yield immediately visible results. There’s no downtime associated with Voluma® injections, patients are typically able to immediately return to work and other normal activities. Voluma® is FDA approved to last for up to two years. Results may vary from patient to patient. Potential side effects can include mild swelling redness, bruising, itching, or discomfort at the injection site. These side effects are temporary and usually resolve on their own. 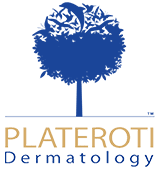 Why should you choose Plateroti Dermatology? We are a “results based” practice and believe in customizing our treatment plans to best suit the needs of each individual patients. Our goal is to treat our patients as individuals and help them achieve their cosmetic and skin care goals through our various treatment options. Do you want to learn more about Voluma®? Contact our office in Templeton today to schedule a consultation!